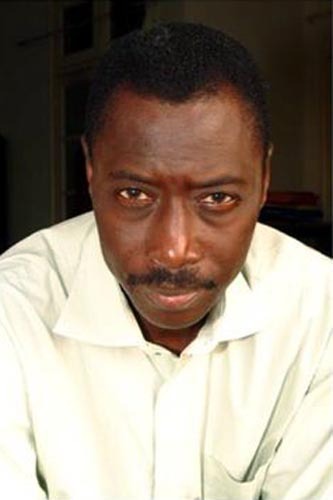 Patrick Mudekereza is an author and a cultural operator from Lubumbashi in DR Congo. With Sammy Baloji, photographer, he created and he runs the association Picha which works in the field of visual arts and participates in advocacy for the status of artists in the Congolese civil society. He is involved in many artistic activities, initiated and participated in the implementation of several events and structures in visual art, music, theater, literature and cinema. In parallel to these actions of creation and cultural management, he studied civil engineering and graduated in industrial chemistry from the Polytechnic Faculty of the University of Lubumbashi. He has been professionally engaged in the cultural sector since 2004, when he worked as an editor of cultural magazine Nzenze, general secretary of Vicanos and Project Manager of forum citoyen de la jeunesse organized with the support of the European Union. 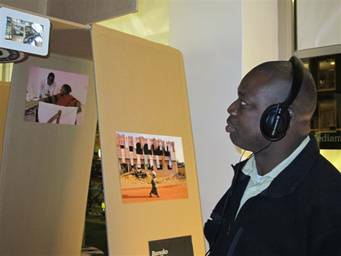 He is currently involved in the administration and programming of visual arts in Halle de l’Etoile, French Cultural Centre in Lubumbashi. 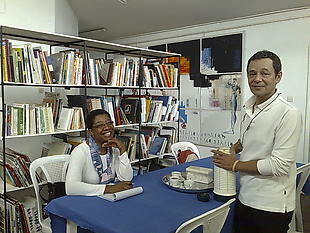 He also leads the biennial of image arts Picha, whose second edition will be held in October 2010. Joseph Gaylard is a member of the Joubert Park Project, a small artists collective based at the Drill Hall in the inner city of Johannesburg. His creative work has involved extended engagement with the complex propositions presented by this environment. He has been professionally engaged at different stages in the researching, conceptualising and realisation of a wide variety of creative, curatorial, research and policy-related projects within the creative industries in South Africa and internationally. He is currently the Acting Chairperson of the Visual Arts Network of South Africa and serves on the Board of the Arts and Culture Trust. As a young sculptor in the 1990’s, he spent the first itinerant few years of his career studying and exploring aspects of spirituality, social aesthetics and philosophy from classical traditional African sculpture, and slowly, began fusing these with contemporary issues, working on themes with a strong social and political content, while often airing an extremely convinced and radical side of him – commenting mainly about what he called “the African State of Affairs”. He has worked and exhibited widely, particularly in Nairobi where he is based, the United States, Germany, Senegal, Belgium, Spain, South Africa & Mali. In 2001, he founded Nairobi Arts Trust/Centre of Contemporary Art of East Africa – an organization that works as a catalyst for the visual arts & the creation of significant art projects, which developed artistic interventions, engaged in pedagogic practices and created strategic international networks with other organizations, with the intention of giving visibility to artists from the region, providing a platform for exchange of ideas and practice, provoke discourse and addressing quality issues. In 2002, he developed the Mombasa billboard project at the shores of the Indian Ocean, and images-in-transit exhibition at the old-law courts at the Fort Jesus Museum in Mombasa. 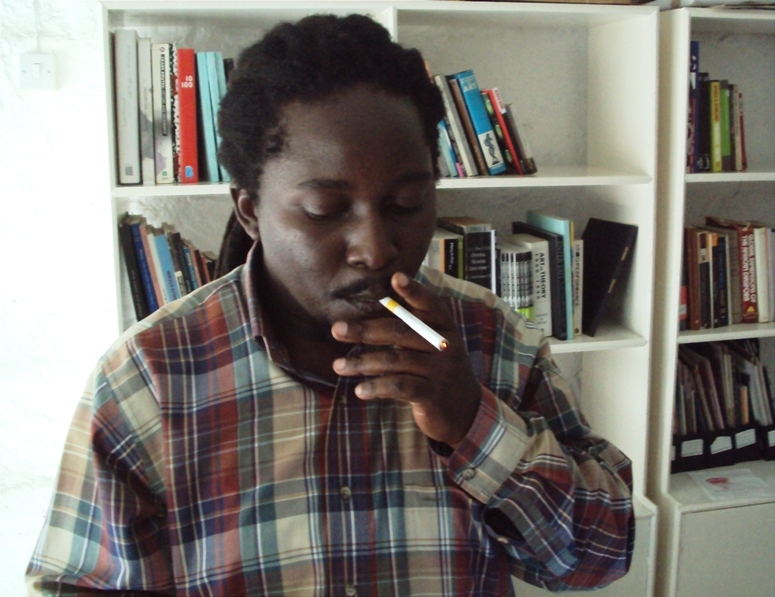 From 2007 to 2009, together with Curators Simon Njami and Fernando Alvim, and a number of artists from the continent & the Diaspora, he developed the Amnesia project, which rallied a call with the aesthetic aim of critical scrutiny of memory loss & and its related complexes within African cultural identities. He lives and works in Nairobi, Kenya. 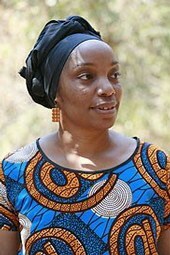 Mulenga Kapwepwe holds a Bachelor of Arts Degree from the University of Zambia. She is currently Chairperson of the ARTerial Network Task Team. In Zambia she is the Chairperson of the Zambia National Arts Council, where she works with a number of networks and funders and civil society organisations. She is a writer and has published a number of books. She also has been actively engaged in promoting various developments in the arts over the last 15 years and was Technical Advisor to the European Union for the Zambia Culture Sector Development Programme, a three-year programme that was aimed at developing the arts and protecting heritage in Zambia. She is also serving as a Commissioner for UNESCO (Zambia) and has been involved in a number of policy developments in the cultural sector. Editor of the art magazine Position. Born November 4, 1963. Attended the University of Ibadan, Nigeria where he studied Theatre Arts and also founded a literary magazine, The River Prawn. His first play, Helot, was broadcast by the world service of the BBC in 1986. Also he translated into English a famous indigenous work of fiction by the late Yoruba writer, Chief D.O. Fagunwa, Expedition to the Mount of Thought, published by the Ife University Press, in 1994. The programmes division of the Nigerian Television Authority, NTA, in 1988 commissioned him to write the screenplay for a special production of Wole Soyinka’s autobiographical novel, Ake: The Years of Childhood. He has been a British Council Fellow at Downing College, University of Cambridge and a visiting editor at the Times Literary Supplement, TLS, London and the London Literary Review. 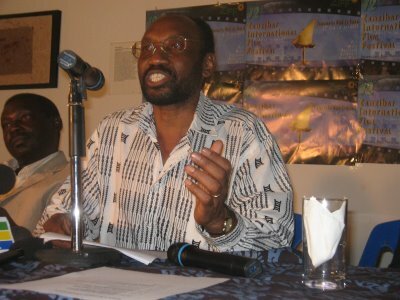 He participated in a number of international events in arts and publishing including the cultural proceedings of the World Bank, Florence, Italy; The Southern African Development Community, SADC, Maputo, Mozambique; the Scottish National Portrait Gallery, Edinburgh, Scotland; the Lebanese American University, LAU, Beirut,Lebanon and the London and Zimbabwe Bookfairs. For many years he was the Arts and Reviews editor for the Daily Times of Nigeria, an arts consultant to Channels Television, Lagos and founding editor of Glendora Review and Glendora Books Supplement. 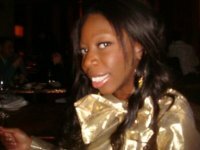 Marilyn Douala-Bell was born in Cameroon in 1957 in the royal family of King Bell. After her master in Economy of Development, the princess began her professional life in Paris. She met there Didier Schaub, born in 1952 in France, who was studying history of art. They get married and decided to come back in Cameroon in 1986. From 1996 to 1993, they had their professional experiences in Douala: she in different NGOs supporting grassroots projects in rural areas, he in organising public event for a big enterprise in Cameroon. Theses experiences gave them the abilities to work in a new urban project. At that time no one were involved in urban areas, and there were not any gallery or organisation for art in Douala. In 1991, together with a group of friends, they founded Doual’Art, a Cameroonian contemporary art centre defining itself as an Ars & Urbis research laboratory on urban issues. Its fundamental concern is to explore how art practises can play a role in the ordering of the territory, participating in a community adaptation of the public space and bearing an influence on urban society. In 2007, Doual’art organised the first SUD Triennale (Salon Urbain de Douala), for which 12 art events addressing urban issues were produced. The second edition of SUD, to be held in 2010, will revolve around the theme of water. Born October 10, 1963 in a village called Dinangourou in the Mopti region, Mali. Before my art studies at the Institut National de Bamako, I attended primary scooling in my hometown, where one of my passions were drawing and especially the practice of a traditional technique: Bogolan. My main themes were the daily life in the rural environment, that is to say that my environment was a source of inspiration. – Rijksakademie Van Beeldende Kunsten Amsterdam- Netherlands – 1995 -1997. My stay in Amsterdam was Rijksakademie watershed in my professional experience, hence the creation of the Centre Soleil d’Afrique. The Centre Soleil d’Afrique was created to allow Malian artists a place to meet, exchange and create work. To improve my abilities in the field of arts and cultural management, I took several courses. – Masters in Art and Cultural Action (MAAC), the Conservatoire des Arts et Metiers Multimedia / University of Paris. I also had several solo and group exhibitions throughout Mali and around the world. For example: Mali, Togo, Nigeria, France, Holland, Germany, Czechoslovakia, United States, Canada and others. 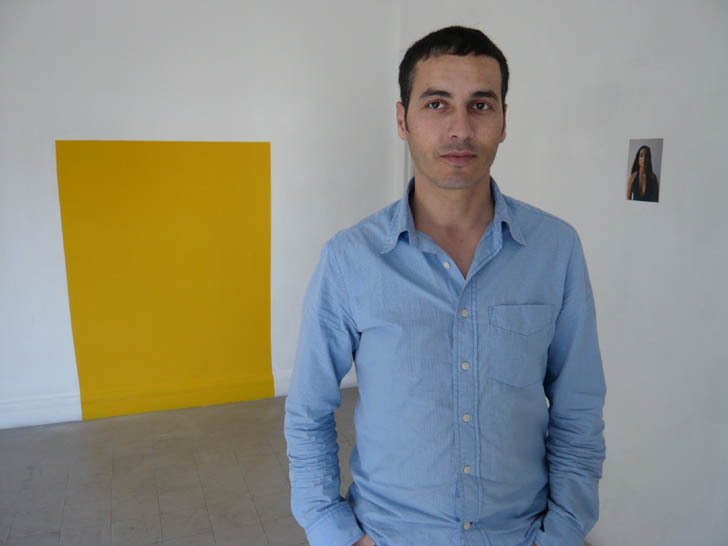 Abdellah Karroum (born 1970, Morocco) works as an independent art researcher, publisher and curator. 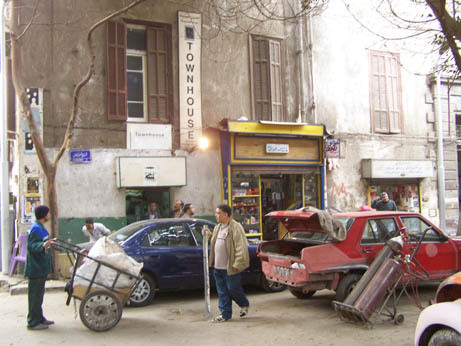 He is the founder and artistic director of several art projects: L’appartement 22, an experimental space for encounters, exhibitions and artists’ residencies founded in 2002 in Rabat, Morocco; the ‘Le Bout Du Monde’ art expeditions undertaken since 2000; and the ‘éditions hors’champs’ art publications that have been published since 1999; Radioapartment22. He curated numerous exhibitions for capcMusée d’art contemporain de Bordeaux (Pensées bleues (1993) ; Jean-Paul Thibeau (1995) ; Urgences (1996)), and was one of the curators for the 2006 DAK’ART Biennial for African Contemporary Art. Karroum is co-curator for the “Position Papers” program in the Gwangju Bienniale 2008 (invited by the Artistic Director Okwui Enwezor). Karroum is also Member of the Prince Pierre Monaco Foundation’s Artistic Council for its International Prize of Contemporary Art. His research is funded in part by the Prince Claus Fund (Amsterdam) and the Clark Art Institute (Williamstown, MA). Karroum is the Curator of the 3rd AiM International Biennale’s exhibition 2009 in Marrakech. Since its inception in 1998, the Townhouse Gallery of contemporary art has established itself as one of the region’s leading independent spaces for the arts, providing an extensive programme of visual arts, film, theatre and music. In addition, community development initiatives as well as educational programmes figure significantly in their multiple mandates. Townhouse Gallery has expanded over the course of the last years. Besides the exhibition space in the Townhouse itself, there’s a big factory space and theatre across the street, an library and a shop. Nowadays the gallery stands as one of the largest private exhibition spaces in the Middle East. The Townhouse Gallery is located in the old citycenter. All decisions are been made in conjucted with the neighbours. William Wells is the director of the Townhouse Gallery. I am a fashion and art commentator and trainee curator. Currently I manage the online content of fashionafrica.com, contribute to the ArtsAdmin Artsblog and run my own blog alter-native-me.blogspot.com. My days are divided between the Centre for Contemporary Art, Lagos where I am undergoing my curatorial traineeship and Ocean Beach Golf and Leisure Resort, where I assist with the programming. 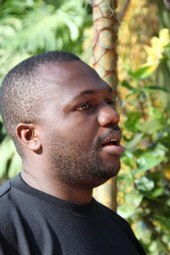 Martin Mhando is a Tanzanian filmmaker, teacher, lecturer and CEO of The Zanzibar International Film Festival (ZIFF). Martin is also associate professor with Murdoch University in Australia. martin is also a filmmaker with award winning credits to his name including Mama Tumaini (1887) Maangamizi (2000) and Liyarn Ngarn (2007). 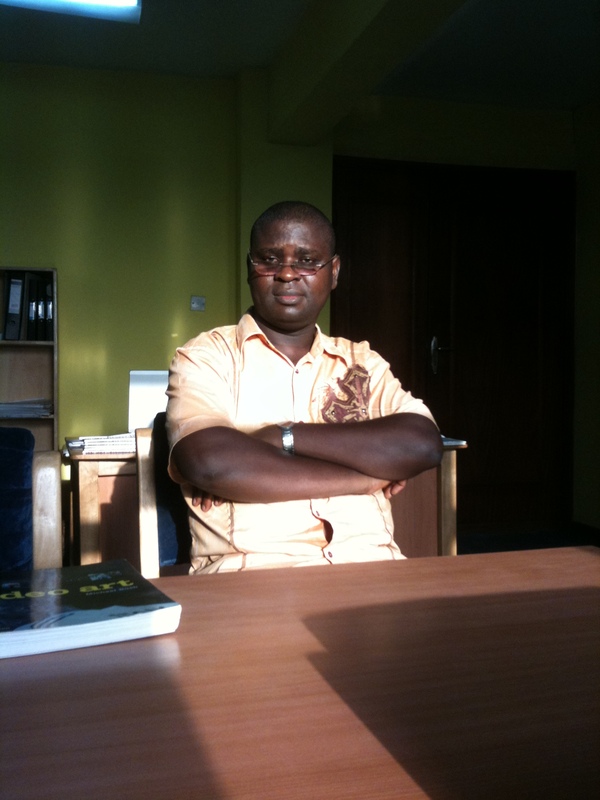 Martin is a researche in African cinema and is the inaugural co-editor of the journa of African cinemas. ZIFFis a non-governmental, non-partisan, non-profit organization established in 1997 in Zanzibar. It is a unique initiative for the sustained preservation and development of the region’s rich cultural heritage and the work of contemporary artists. ZIFF’s main activity is the organisation of the annual Festival of the Dhow Countries that takes place around the first two weeks of July. Mission: To promote internationally and to develop film and other relevant cultural industries as tools for social and economic growth in the region, as exemplified in Zanzibar. Vision: ZIFF aims to make Zanzibar the focal point for promoting Dhow culture through films and other media. Adwoa Amoah (born 1977) is an artist living and working in Ghana. She holds a Bachelor of Arts degree in painting from the College of Art (Kwame Nkrumah University of science and technology, kumasi). 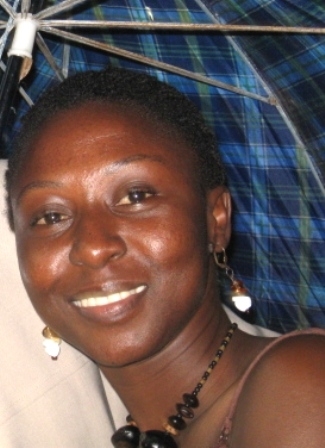 She is currently the Co-director of the Foundation for Contemporary Art Ghana, a position she has been holding since 2007. Her artistic expression includes painting, installations, and bead design. She is also interested in curatorial studies. Adwoa has worked extensively with children in developing their creative talents and currently with other artists is pursuing mural projects in the city of Accra. Our mission is to create an active network of artists and a critical forum for the development of contemporary art in Ghana. Contemporary art is produced now, for a present-day public. Art is dynamic. It questions identity, individual and collective memory, and tells us who we are, or might become. Present-day society is diverse and this is reflected in the visual arts community in Ghana as elsewhere. Art is about life, about possible scenarios for change, and investigates depth of spirit. What is the role of artists’ experience? What does it let us understand about ourselves and society? I am a visual artist living and working in Bonendale, Douala. Today, I am best known as media artist (video artist) but my activities include painting, installation, performance and drawing. Lead Strategist for Art Bakery. Art Bakery is an artist’s initiative (based in Douala, Cameroun) aimed at developping contemporary art. Ousseynou Wade is the general secretary of the Biennale of Dakar. He has been an advisor for the Ministry of Culture. In this capacity he has been involved in the policy making for the cultural sector and international promotion of Senegalese culture. He was engaged with the International Festival of Jazz St. Louis, International Fashion Week, Fashion Carnival from Dakar and the Forum on Media and Culture. He has participated in numerous meetings on cultural policies in Africa and worldwide. Preparations for the workshop in full swing!